After nearly six years, Pennsylvania residents dissatisfied with the current scheme of representation for the commonwealth in the House may finally get some relief. A lawsuit from the League of Women Voters of Pennsylvania, originally filed in June, received new attention last week as a Republican staffer in the state legislature came forward in opposition to the League’s efforts. 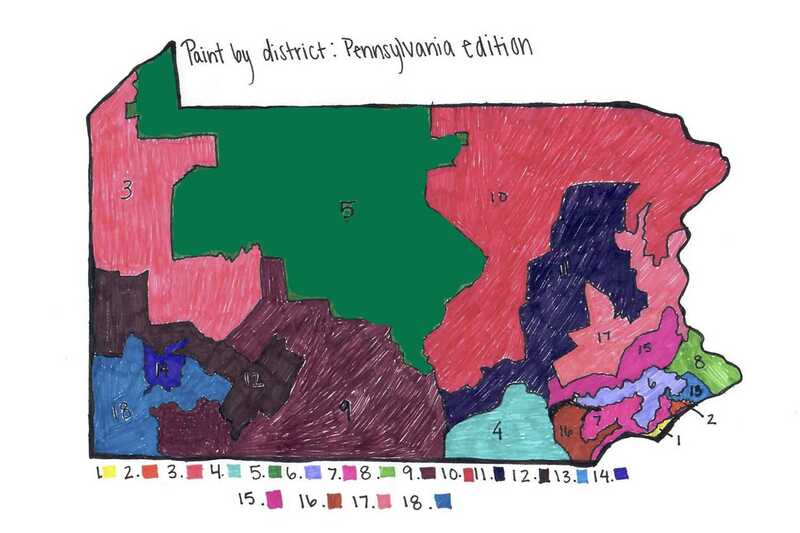 The case, which is currently being litigated in the Commonwealth court, seeks to label the state’s map of districts for the House of Representatives, updated in 2011, as unconstitutional. “Serious concerns exist concerning the disenfranchisement of 12 million Pennsylvania voters if any court sides with the plaintiffs and changes the rules six years after the plan was properly passed,” Compton said. But if this is the best defense Republicans can muster, they may as well give up on stopping redistricting reform now. Mathematical evidence from Pitt and Carnegie Mellon researchers released in February demonstrated the statistical impossibility that legislators could have drawn the current districts without political bias. Thus, the Republican plan is likely to be found as an unconstitutional instance of gerrymandering — manipulating borders between districts to give one political party an unfair advantage. It’s hard to dispute that Pennsylvania has a gerrymandering problem — in a May report, New York’s Brennan Center for Justice rated the commonwealth among the three worst gerrymandered states. So even if the League of Women Voter’s lawsuit is arriving in court several years later than it should have, it’s still important to work toward redistricting reform in order to rehabilitate the state’s reputation. And while any potential changes to districts in the commonwealth coming out of the suit would only affect the outcomes of the 2018 and 2020 federal elections at most, it’s contradictory to write off two elections as inconsequential and at the same time expect civic engagement in elections. We need to treat the integrity of every election in our commonwealth as vital to the continued health of our democracy. Republicans who cynically write off redistricting reform in 2017 as too little, too late are either missing the point entirely or purposefully attempting to maintain their undemocratic upper hand in the crucial 2018 and 2020 federal elections. If they’re truly committed to the civic engagement of Pennsylvania voters, they shouldn’t resist attempts to right redistricting wrongs.